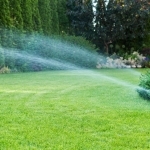 Boerne Sprinkler Repair specializes in residential and commercial sprinkler systems, and no matter the season, we provide maintenance for your lawn irrigation system. Our trained and licensed technicians are ready to professionally address your sprinkler issues. Our work speaks for itself. You return home one evening from a fun family outing at Boerne City Park to find a small lake in the middle of your lawn – apparently, your sprinkler system has a huge leak or some fixture has broken. Don’t panic… simply turn off the water to the system and call your local Boerne Sprinkler Repair. Boerne Sprinkler Repair has offered superb residential sprinkler repair services. Our full crew is ready and waiting to tackle any sprinkler repair you may present. As our technicians are equipped with the latest tools and training, we make repairs look easy. One call to Boerne Sprinkler Repair and your landscape will be fixed to flourish! Any number of simple maintenance issues could jeopardize that first good impression. But a call to Boerne Sprinkler Repair will set us in motion, to fix that wayward sprinkler system, and restore your lawn to lustrous health. First impressions are simple to ensure, so hard to repair. Boerne Sprinkler Repair promotes its business on providing premium sprinkler repair throughout the Boerne area for homeowners and commercial property owners. Our reputation precedes us for being passionate at delivering high-quality service, taking that extra step to prevent potential problems, and all at affordable pricing. Scheduling a licensed technician is easy and our team works efficiently to resolve your problem as timely as possible. If you suspect a leak or some other issue, call us right away. We will come to inspect your system, locate the source of the problem, and fix it quickly. Put our specialists at Boerne Sprinkler Repair to work for you, and get the resolution done the right way. Boerne Sprinkler Repair specializes in designing or correcting drainage systems, to help homeowners prevent flooding and water damage to lawn and home. Only an experienced technician should design and install a drainage system. At Boerne Sprinkler Repair, we consider every part and piece of the system, working as a whole, to give you a functioning drainage system based on science. 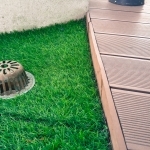 With that approach, we can correct any drainage issue you may have. Boerne Sprinkler Repair is completely upfront about pricing. For our drainage services, we will provide you with a quote and ensure you understand our pricing structure. We are all Boerne based businesses, and we believe in being honest with our community! 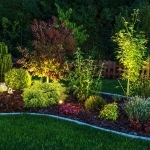 Boerne Sprinkler Repair will start the process by walking the property with you, detailing all the landscape features and areas that need proper lighting. Our estimate is free and we have a variety of high-quality lighting fixtures to choose from. 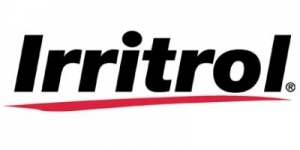 Rest assured, our professional team of technicians is trained in the product specifications for all of the fixtures we supply, including all electrical installation techniques. As such, we adhere to all the safety compliance standards for both residential and commercial lighting design. Once installed, we offer Service Checkups to ensure everything is working correctly.